The tradition of human tower or Castells in Catalan language comes from Catalonia. Each autumn the teams of Castellers are competing to build the highest tower in the region. The tradition goes back to 18th century and the record of the highest human tower is 9 levels. On November 16, 2010, castells were declared by UNESCO to be amongst the Masterpieces of the Oral and Intangible Heritage of Humanity (Wikipedia). We want to build the highest human tower in the world! 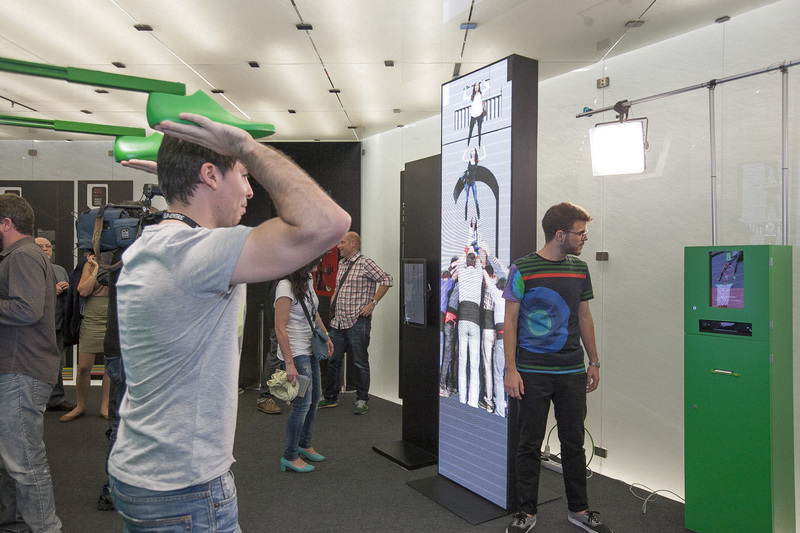 The installation invites visitors to be a part of the tower. Hence, with each participant our tower grows. The interactive piece tries to relate to Castells tradition in very extraordinary way giving audience a super power to construct a tower of kilometers. 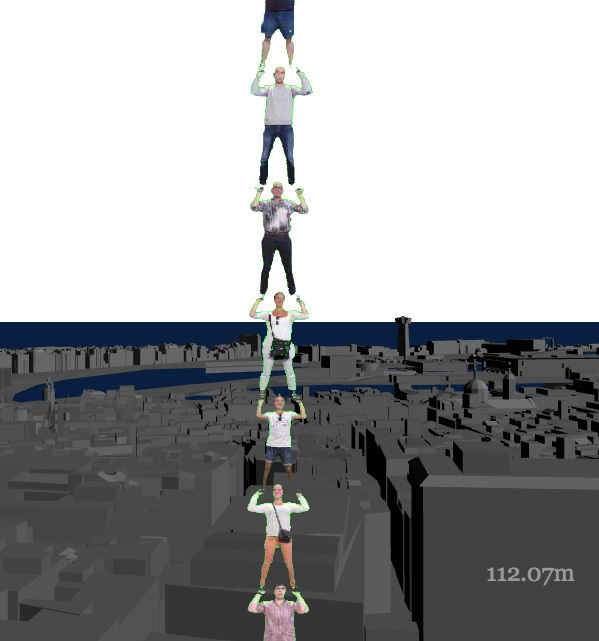 The Highest Human Tower is very a ludic and participative installation that also establishes a connection with a cultural tradition to build human towers called Castells. With this work we aimed to crash human physical limits in an extreme way: by the end of exhibition we have constructed a human tower out of 3000 persons and more than 4.5km high tower. We really enjoy working with digital tools, since the virtual environment allows us to realize even the most impossible ideas. The artwork was commissioned by Mobile World Capital Barcelona. – Music+Arts exhibition at Mobile World Centre in Barcelona (21st Oct – 13th Dec 2014), curated by Alpha-Ville.